Ill.Gates has been a busy producer as of late. Last week, he released his entire back-catalog of music for free download, and today, he launched into a concept EP of remixes appropriately titled, "The Ill Methodology Remixes" (which you can grab here). To really highlight the project, Ill.Gates reached out to producers like Elite Force, Greg Reeve and Mexicans With Guns to create some heavy, frenetic and high energy tracks perfect for fall festivals. Each song takes the harmonies and bass elements of The Ill Methodology, and adds in the unique sounds of each producer remixing the track. 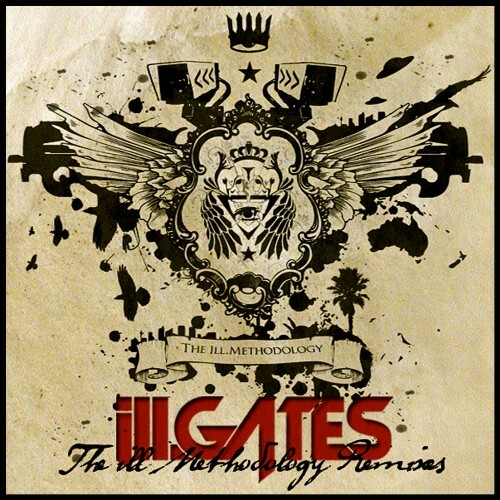 Personally, I really enjoyed Ill.Gates and Datsik teaming up for "Eviction" on the original "Ill Methodology". The Elite Force remix of Eviction takes all the ill.Gates and Datsik bass, and blends it into some lighter harmonies. As a counterpoint, the Unsub Remix of "Crossing Over" throws bass music back into London garages and dungeons with more tribal dub elements, with a reggae infused feel, and echoing steel drum effects. However, this EP of remixes is only the appetizer for the main course. I have had the pleasure of listening to "The Church of Bass" by ill.Gates out on November 19th – and it's absolutely insane. Be on the lookout for it when it hits the music scene. Catch Ill.Gates while he is on tour for the next two months, ending December 31st at Snowglobe Festival in South Lake Tahoe.